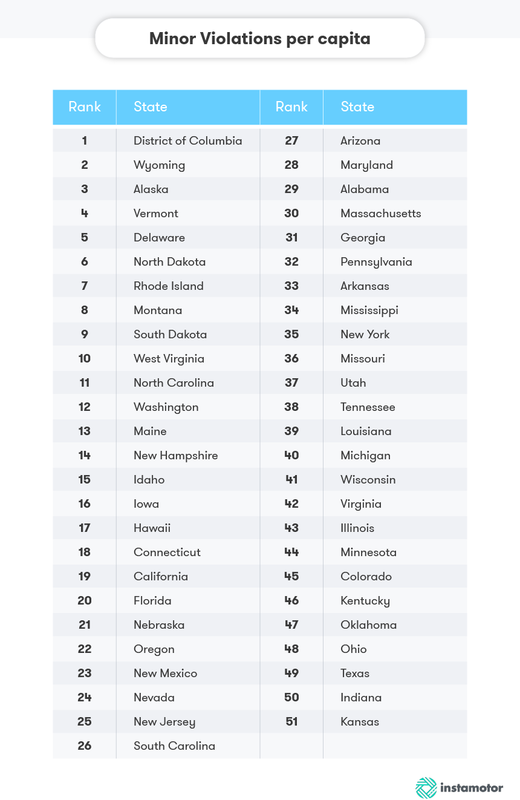 Drivers Trying To Avoid The Law: Where Does Your State Rank? Traffic violations are intended to curb potentially dangerous driving habits. Most people would agree on the importance of driving law enforcement, but every driver has the right to the due process of law. We got to wondering how many drivers across the U.S. are attempting to risk driving recklessly or dispute their traffic violations. We compiled average monthly search volumes from Google for every state across key traffic issues—DUI, speeding, parking and minor offenses. We then totaled the average monthly search data and divided this sum by the state population, resulting in a per capita ranking. From this data we were able to extract which states motorists will likely attempt to avoid paying fines or, in some cases, serving jail time. Driving under the influence is a serious crime. According to the National Highway and Traffic Safety Administration, 27 people die every day as a result of drunk driving. Penalties in most states result in thousands of dollars in fines, impounded vehicles, driver’s license suspension, increased auto insurance premiums and imprisonment for up to six months. In 2014, more than 1.1 million drivers were arrested for driving under the influence of drugs and alcohol, according to the Federal Bureau of Investigation. We looked at six phrases relating to DUI (including “dui checkpoints” and “dui lawyer”) to see which states are attempting to avoid police contact and which states most drivers were seeking to be absolved of their crimes. 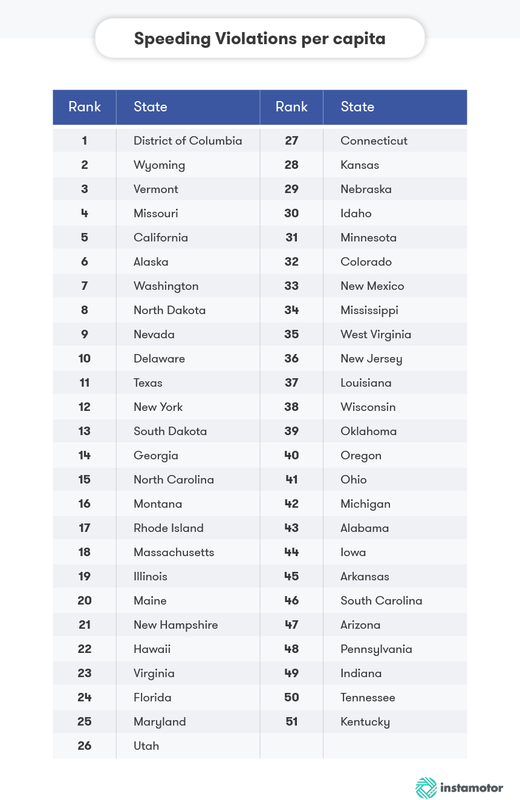 While Nebraska made the top five, the state was the lowest per capita to search for “dui checkpoint,” showing perhaps a lack of advanced planning before getting behind the wheel. For other states on the list, California and D.C. were the only two states to search for “dui checkpoints” more than “dui lawyer” and “dui attorney” combined. In fact there were 495 times as many searches for “dui checkpoints” in California and 119 times as many searches in D.C.
Not surprisingly, Nebraska and California are well known for being driving dependent states where even major cities have inadequate public transit infrastructure. Lack of reliable public transportation options will naturally bring more people behind the wheel and encourage “buzzed driving”. While it’s tempting to push the speed limit five or ten miles per hour, speeding accounted for 28 percent of all fatal crashes in 2014 according to the National Highway Traffic Safety Administration. Whether drivers are running late or simply enjoying the adrenaline rush, speeding was reported as the most common reason for being pulled over by police in 2011 and half of all traffic stops resulted in a ticket, according to the Bureau of Justice Statistics. Since D.C. has a high working population compared to its residential population, daily commuters are easy targets for the highway patrol’s radar gun. Interestingly enough, Washington, D.C. searched for “speeding ticket lawyer” less than 15 percent that of “speeding ticket”. This could indicate the speed racers of D.C. are not as likely to contest their speeding ticket. One possible explanation for this is the professional’s readiness to pay the fine rather than expend the time and effort to appeal the ticket. It may be difficult to find parking in your state’s most congested areas, but it may be even more difficult to find a respected parking enforcement officer. Lovingly called “meter maids”, their meticulous attention to curb color, time limits and your vehicle registration are sure to have you shaking your head in disbelief. 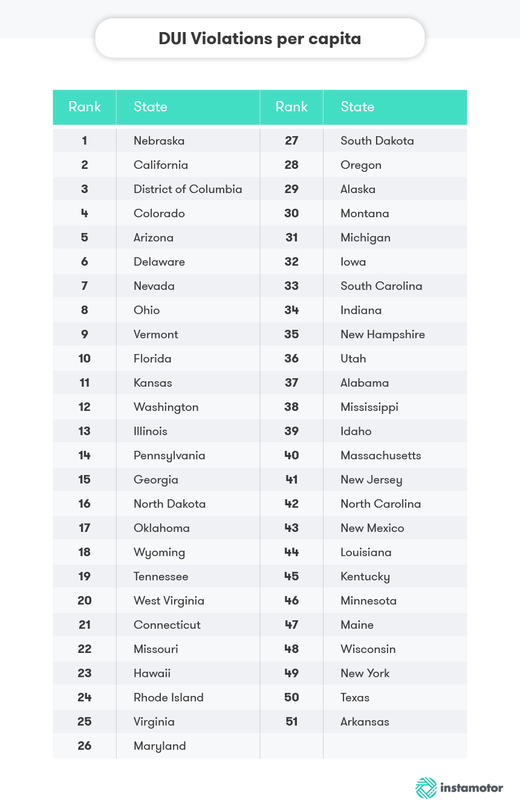 Looking closer at the top five, we examined which states are likely to receive a parking citation, and which states people are most likely to appeal. We summed the search volume for terms “how to fight a parking ticket” and “dispute parking tickets”, then divided that by the number of searches for “parking ticket” and “parking violations”. From this we infer the percentage of people attempting to appeal their citations. D.C. far exceeds the other top five states with dispute searches totalling 10 percent that of parking ticket searches. Citizens of Illinois are the least likely to dispute their parking charges with only 1.46 percent the search volume of total parking ticket searches. As cities increase their parking enforcement efforts, you may want to valet the car. Sometimes you can get away with rolling that stop sign or sneaking through that yellow light, but in these states you are going to want to stay within the confinements of the generally accepted laws of physics. We took a look at minor traffic violation phrases like “seat belt laws” and “traffic light ticket” to name a few. Washington, D.C. ranked first because of its high search volume for “seat belt laws” and “pedestrian hit by car”. 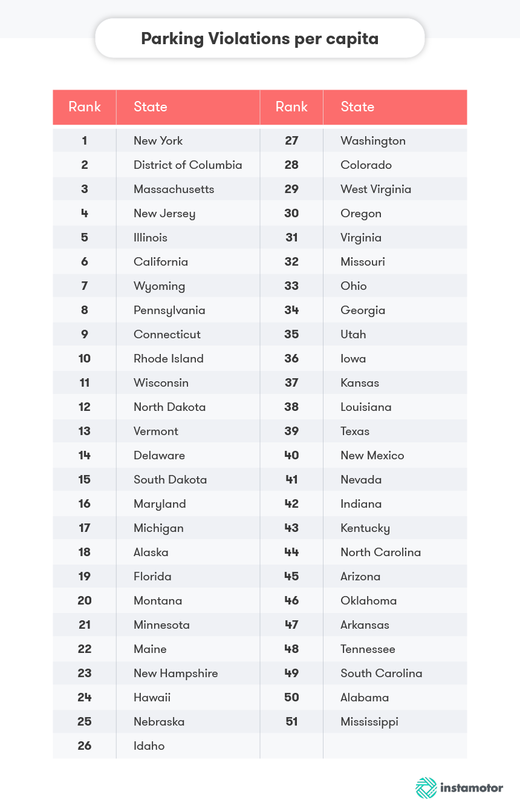 Despite ranking fifth overall, Delaware was a close second to D.C. when searching for “pedestrian hit by car” per capita, which is quite possibly the most frightening search data in this portion of the study. Out of the entire study, the minor violation with the highest search volume per capita is “seat belt laws” followed closely by “pedestrian hit by car”. No matter what state you are in, be sure to buckle up and stay vigilant when approaching crosswalks—particularly on foot! DUI - “how long does a dui stay on your record”, “dui attorney”, “dui checkpoints”, “dui lawyer”, “is a dui a felony”. Speeding - “speeding ticket”, “how to fight a speeding ticket”, “how to get out of a speeding ticket”, “speeding ticket lawyer”, “how to beat a speeding ticket”. Parking - “how to fight a parking ticket”, “dispute parking tickets”, “parking meter”, “parking tickets”, “parking violations”. Minor Violations - “traffic light ticket”, “stop sign ticket”, “seat belt laws”, “pedestrian hit by car”, “driving with a suspended license”. Once we had the search data for each term, we calculated the total search volume per category and divided that by the state’s population. This number gave us the average search volume per capita within each state.